There’s no doubt that the redheads are winning 2018. We are getting tons of requests for fiery hues in shades ranging from deep wines to blazing vermillions. Red is sultry and classic like the iconic redheads of Hollywood—Rita Hayworth or Ann-Margret, but also bold and rambunctious—think Hayley Williams’ ever-changing spectrum or Rihanna’s vibrant fire-engine shade in 2010. Ask your colorist to recommend a shade that best fits your skin tone and eye color. 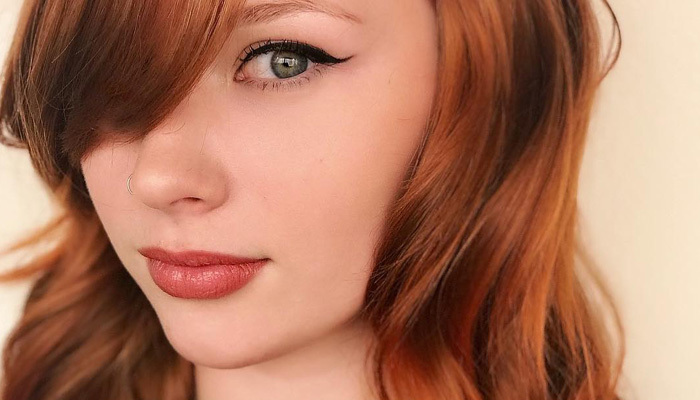 Hair unicorns all over the world jumped for joy when Aveda Global Artistic Director Ian Michael Black declared #AvedaPastel THE color trend of the season. From that moment on, pastel hair invaded the #Instahair feeds and a color revolution was born. Expect to see milky shades of pinks, blues and purples playing peek-a-boo through lived-in balayages or completely candy-coating tresses for a cutesy yet kind-of-punk-rock statement. Covering your grey is so 2017. In 2018, we embrace it—in fact, grey (let’s call it silver) is becoming the most requested creative color out there. To add a little curiosity and edge, we’ve been using silver to accent blondes and ashy brunettes —is that her real grey or is that supposed to be there? It’s mischievous, unexpected and dare we say—brave? As the weather cools down, we’re going to see lighter shades warming up. This fall’s blonde is not just any blonde, it’s a complex swirl of bronze, gold and caramel tones all brilliantly thrown about to create a multi-dimensional color that looks almost natural but too gripping to go unnoticed. Sometimes our dark-haired guests are torn on whether to keep their monochromatic color or to do something a little different. We get it, it’s a commitment and “what if I hate it?” Like any big change in life, we recommend baby-steps—like adding flicks of color light enough to make a difference, but plays nice with dark hues. It’s nice to have a rosy outlook on life—and even better on your hair. With the rising demand for reds and pastel pinks, it makes sense that rose brown is the perfect happy medium for those who don’t want to commit to red but still want to flirt with the idea of it. It’s too shy of a shade to be red, yet calling it pink is quite the understatement. We believe if Botticelli were to recreate his Birth of Venus, this would be her hair color. Keep your new (and interesting) color looking fresh all season long. Aveda’s Color Conserve collection will help your color stay vibrant and beautiful. The shampoo & conditioner are infused with plant-based ingredients to seal hair cuticles and prevent fading. The strengthening treatment is formulated with morikue protein and sunflower and macadamia nut oils to deeply nourish and strengthen color-treated hair. For intense shine and radiance try the Daily Color Protect.